Dec 4 · Last update 2 mo. ago. 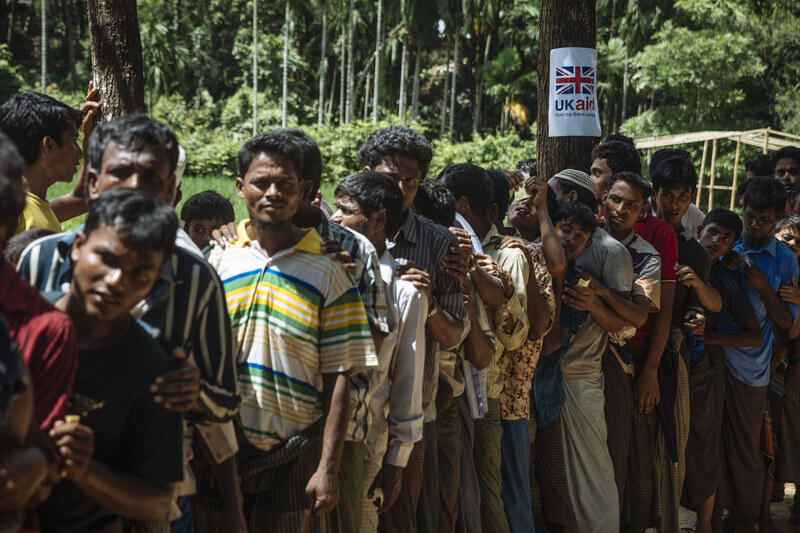 Does prosecution for the Rohingya genocide lie in the hands of the UK government? As former coloniser of Myanmar and permanent member of the UN Security Counsel, should the UK be doing more to push for the referral of generals, implicated in the UN’s report on the Rakhine conflict in Myanmar, to be referred to the International Criminal Court? If this doesn’t happen will the Rohingya Genocide ever be recognised? None of these political entities really care about human rights; true recognition of genocide requires an end of corrupt power politics first and foremost. This genocide is doomed to have the same outcome as the Armenian Genocide, to be internationally recognised but continually denied by the very people that perpetrated it. There is also a deafening silence from the Islamic world in this case, and against violations of human rights in the Uighur regions of China, a country that has also used its UN veto powers to prevent intervention here. Despite thousands being killed and hundreds of thousands displaced no party has stepped forward to effectively challenge the UN, Myanmar or China in this despicable political stalemate. In order to rightfully prosecute anyone for such a grave matter an unbiased party must first apprehend what is actually going on. Myanmar’s leader Aung San Suu Kyi has rejected the UN’s report as one-sided and flawed. Likewise the military have denied all wrongdoing claiming all witness statements stem from a legitimate crackdown on Rohingya militants, not civilians. International efforts need to be made to work with the government of Myanmar and ascertain the exact situation for anyone can be prosecuted. The UN is starting to call the situation in Northern Rakhine state genocide (“genocidal intent”) following an investigative report from late 2018. For the UK to single-handedly pressurise or directly involve themselves with the process of bringing Myanmar’s government to justice could only make the situation worse, as blaming British colonialism for Rohingya settlements is the official line of Myanmar’s hostile military government . As the situation is so serious and tense, the solution needs to be multilateral and fair, and the UN seriously needs to consider reforming the veto system that is so obviously prohibiting action in this case and many other similar cases around the world. The matter of the violence and persecution in northern Rakhine State, Myanmar has taken a complicated diplomatic turn. The United Nations have only going so far as to condemn these horrible acts as a genocide perpetrated by the military, following a fact-finding mission in the country earlier this year. The UN effectively have their hands tied to do anything else, as China is against action here, claiming “Myanmar does not cope well with pressure” and will probably veto any proposed UN action in later discussions. With a long history of colonialism France or especially the UK needs to step into this void or risk this turning into another genocide that remains unpunished.